Now that it is officially spring, it is time for warmer weather, more sunshine, and lots and lots of rain. After all, those gorgeous flowers don’t just grow by themselves. While rain can be calming, and it is necessary to create such a gorgeous spring landscape, it can also make it very difficult to drive. The rain wreaks havoc on the road in many ways: it makes the roads slippery, the skies dark, and your visibility almost nonexistent. So how can you drive safely even in these anything-but-safe conditions? First, you need to evaluate the situation. Just how bad are the driving conditions? Is where you are headed really worth the risk involved in driving? Only you can decide how important the impending drive is, but please consider all possible outcomes before braving the storm. If possible, delay your trip until the rain passes. Most heavy rainstorms do not last very long. If you do decide to drive, do so with caution. 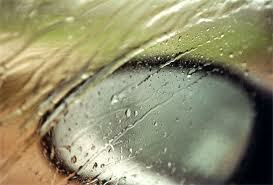 There are several little tricks you can use on the road to help your car handle the wetness a little better. According to Smart Motorist, one thing you can do is drive in the tracks of the car in front of you. You should also try to stay in the middle lane until the last minute. When water pools up, it tends to do so on the sides of the road. While your position on the road is important, so is the way that you drive. When driving in the rain, you should be using every defensive driving trick that you know. Keep both hands on the wheel so that you always maintain control of your vehicle and keep your eyes focused on the lines of the road. Remember, the speed limit is based on how fast you can safely drive in ideal driving conditions (i.e. dry road with perfect visibility). Rain causes anything but ideal driving conditions, so you should always drive slower than the posted speed limit, even if you feel like your car can handle it. Just because you are the perfect driver, that doesn’t mean everyone around you is. If you should need to stop suddenly, it will take longer to do so on a slippery road. For this reason, you should also stay a little further behind the car in front of you than you normally do. And NEVER use cruise control in the rain. Cruise control and the rain can be a deadly combination. When you drive through a puddle, your car naturally slows down, but if it is set on cruise control, it will try to speed up again. The result is a hydroplane situation that you never want to find yourself in.